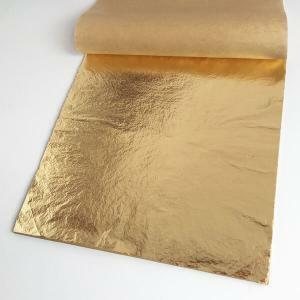 – Used whole to cover larger areas to speed up the process of decorating. 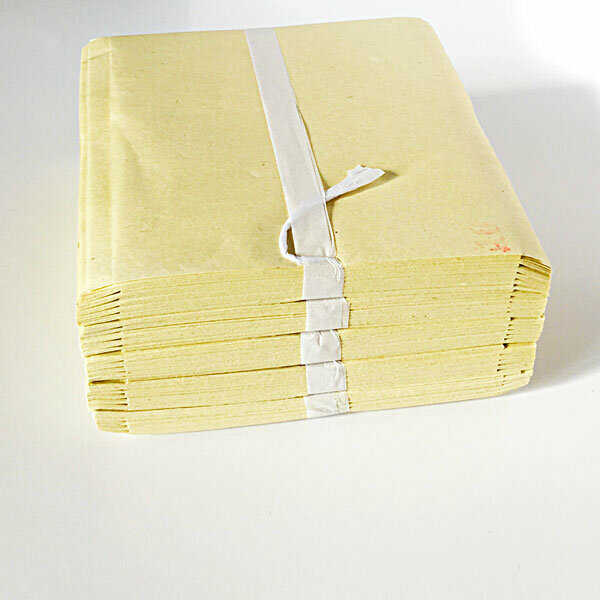 – Perfect for decorating large cakes and dinner dishes. 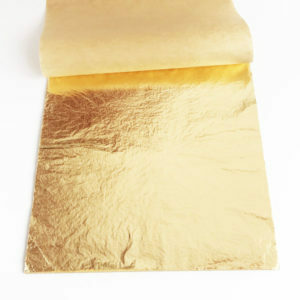 – These large loose leafs are best suited for cake shops, for home users we recommend using small gold leafs. 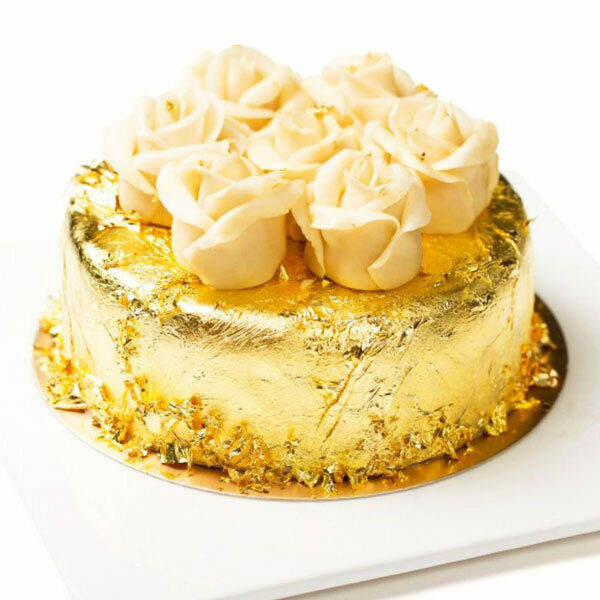 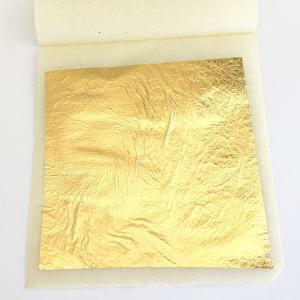 – Simply slide the gold leaf of the tissue paper onto the cake. 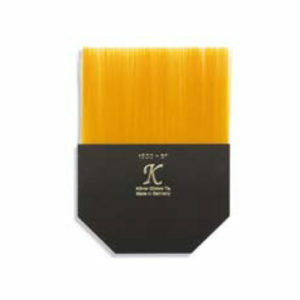 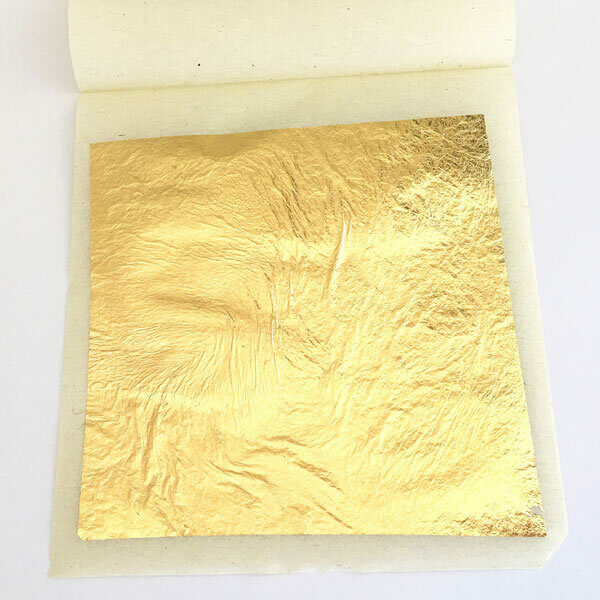 You can also use the Edible Leaf Application Brush to place the gold leaf precisely where you want. 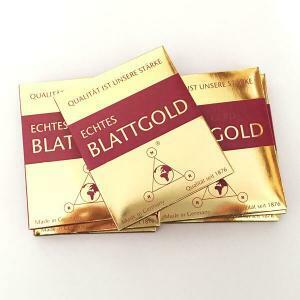 – Use the supplied edible gold leafs within 3 years from date of purchase.